With PrestaShop blog module, you can integrate a blog within a PrestaShop store to educate, entertain, and inform your users. 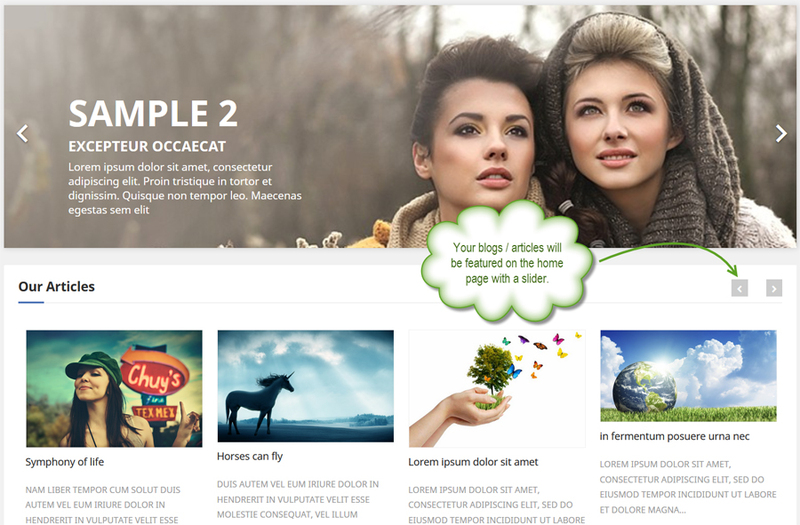 Start writing creative posts and accompany them with captivating images and useful videos. Publish posts right away or schedule them to go live later. 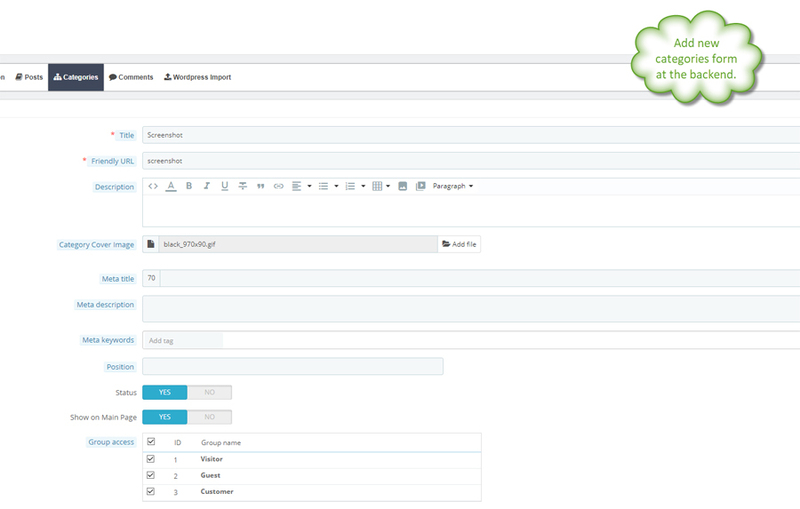 With import option, you can move your old WordPress blogpost to your PrestaShop website in a click. 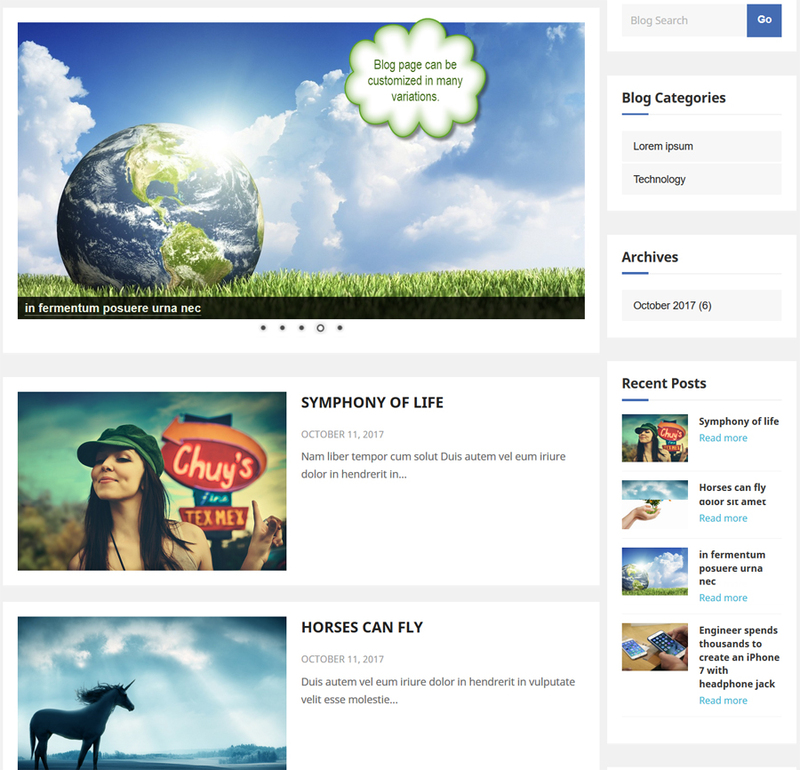 This Prestashop Blog Module is developed by FmeModules.com – Official Prestashop Partners with experience of developing over 45 modules. 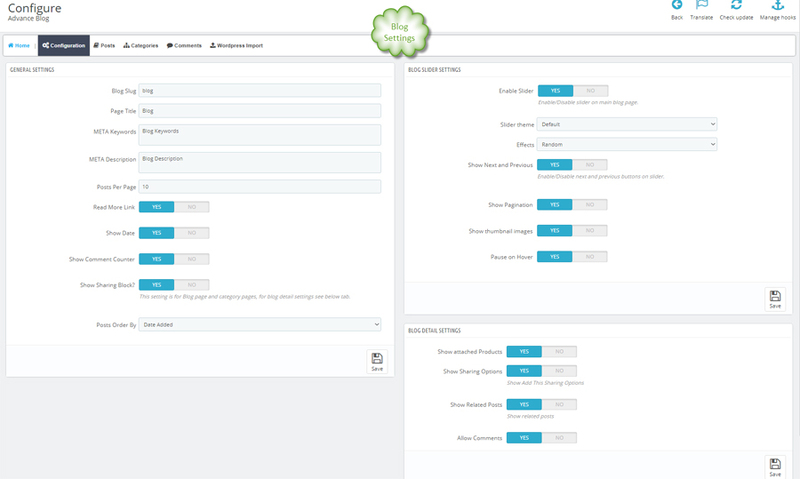 Prestashop blog module works smoothly with your existing system whether it’s a multi-lingual or Multi-store. 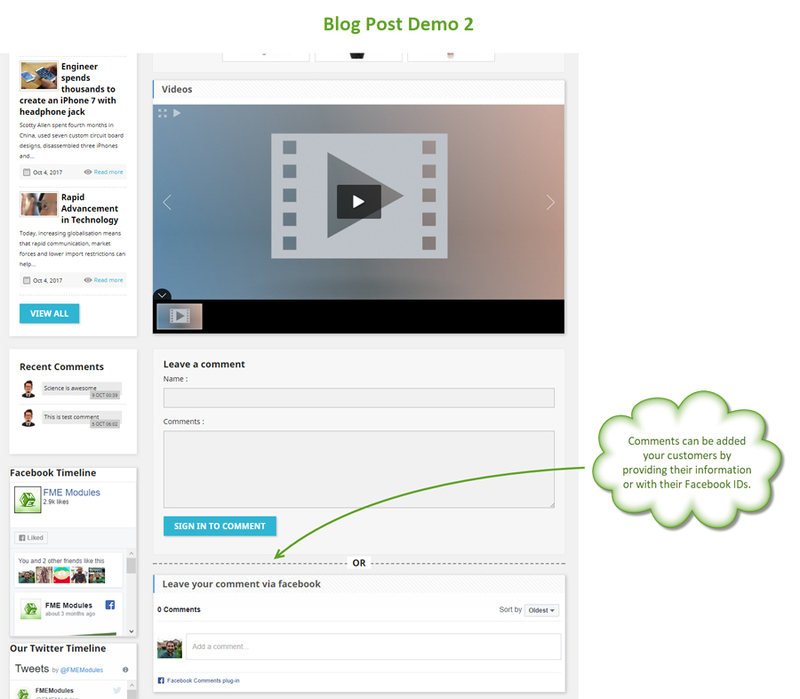 Show recent posts at store homepage, enable Facebook comments and display blogposts slider at blog home and images slider in each blog post. 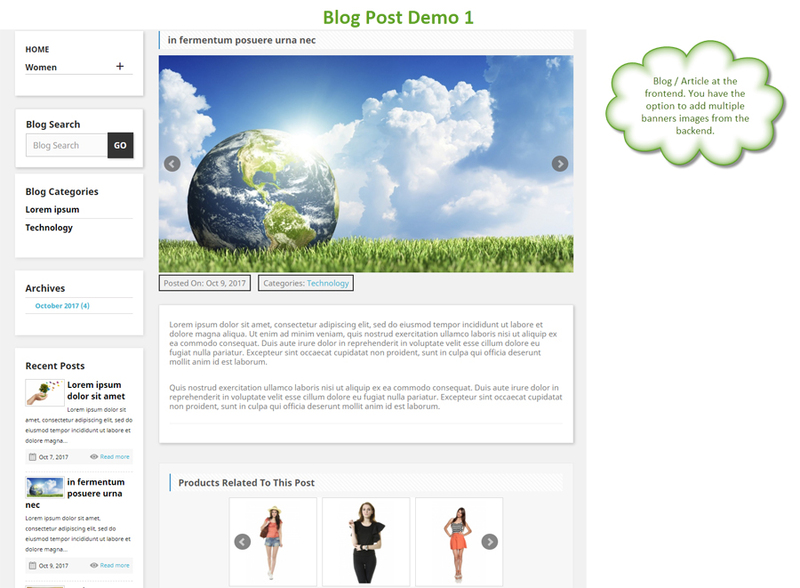 PrestaShop Blog module allows you to write and publish innovative content for your eCommerce website. It also allows you to schedule a post for publishing at the right time. Start with a custom title and proceed to posts composition and formatting with WYSIWYG editor. You can add Meta details to make the post SEO friendly. Apart from textual content, you can add images and videos as well to the posts. Simply select files from your personal computer and add them to the post. Try these options. 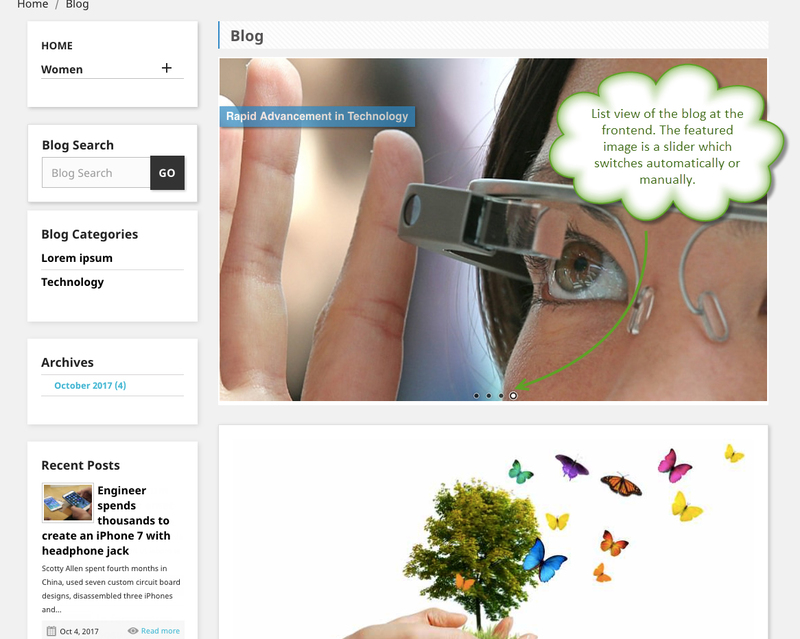 You can add categories to your blog that segregate topics for easy navigation and search. 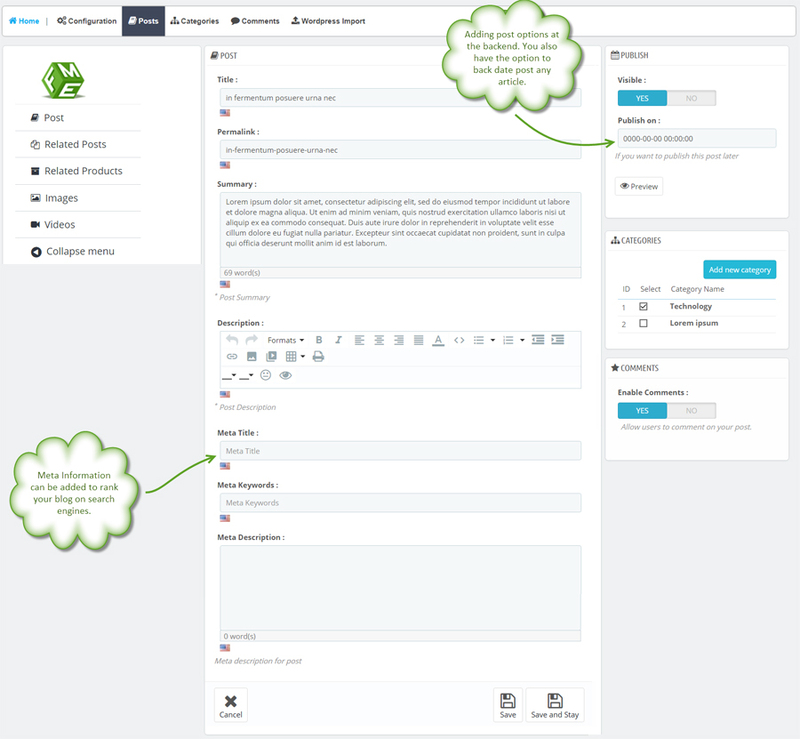 It allows users to quickly access all the posts published under a category. PrestaShop blog module empowers you to import a WordPress blog into your eCommerce website to manage it along with the store. 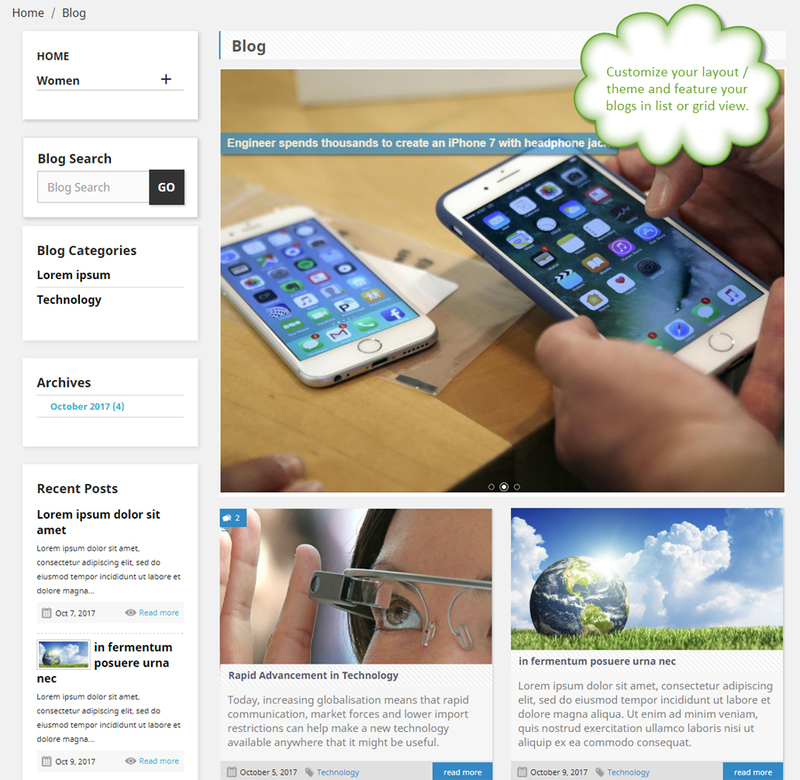 Enjoy a centralized control panel for blogging and web shop. Start with basic blog settings to make the blog search engine friendly and reachable. You can opt to display Date and comment counter or Read more link to the posts. 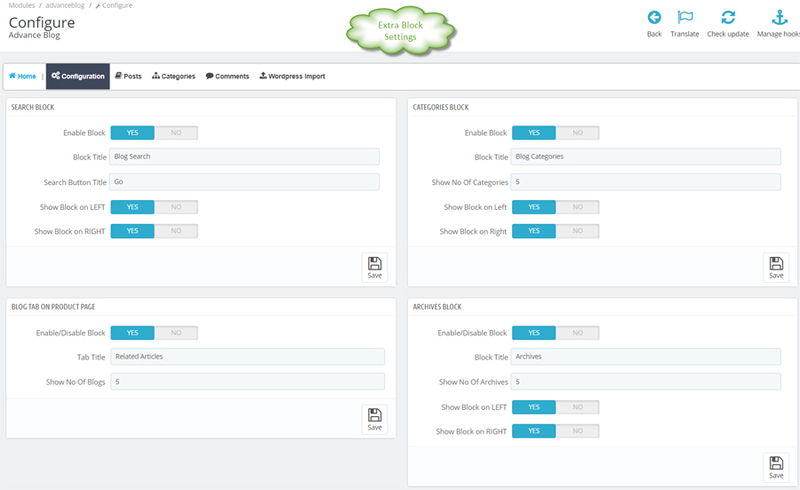 You can avail these options to start with the basic configuration. You can add a slider that displays posts with transition effects to catch user attention. You can also add images slider within a blogpost. 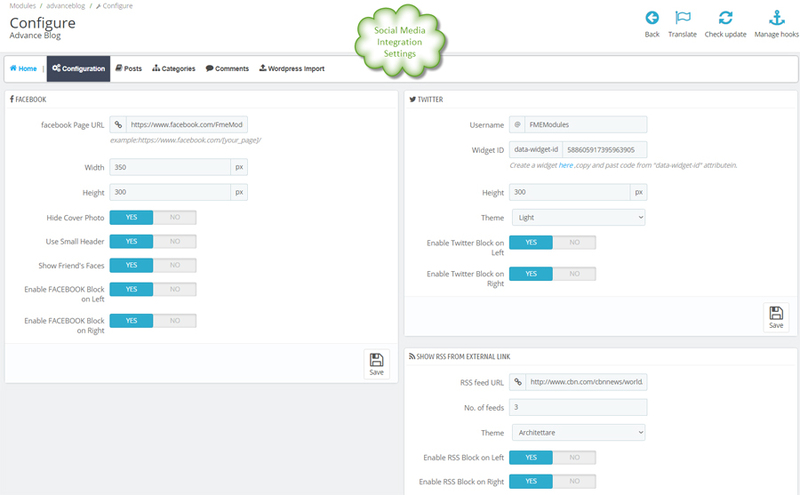 Following are the configuration settings of slider. 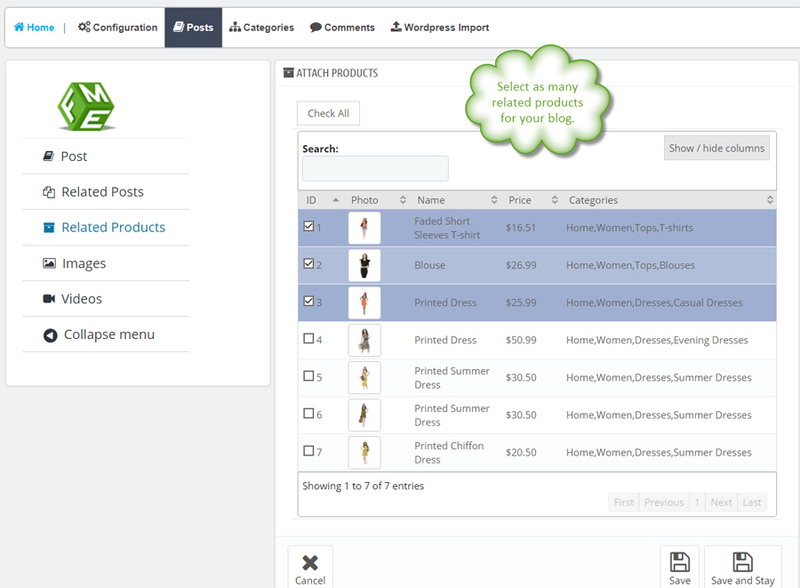 With the help of PrestaShop blog module, you can add blocks to highlight the content further. 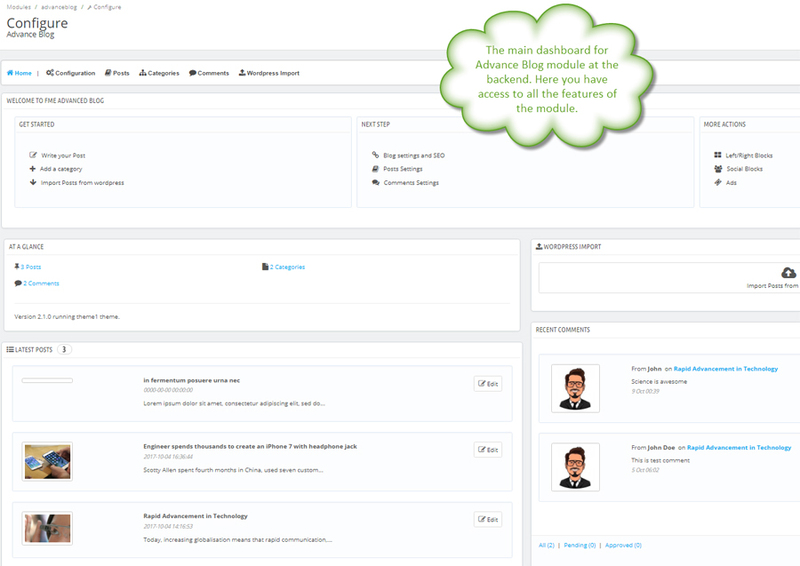 You can enable blocks for the recent posts, recent comments, archives, categories, etc. select any on them and display it on your website accordingly. Display external content by integrating the RSS Feed from an external link such as BBC, Bloomberg, etc. 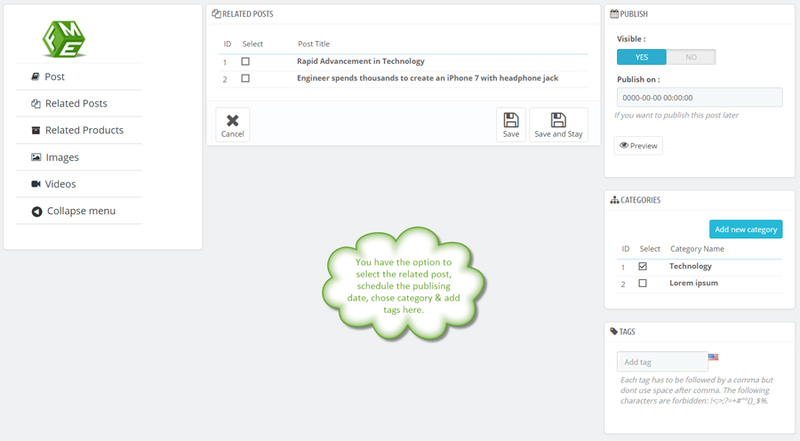 You can also add an RSS feed block to let the users subscribe to the content feed of your blog. It allows the readers to get updates when fresh content is published on your blog.